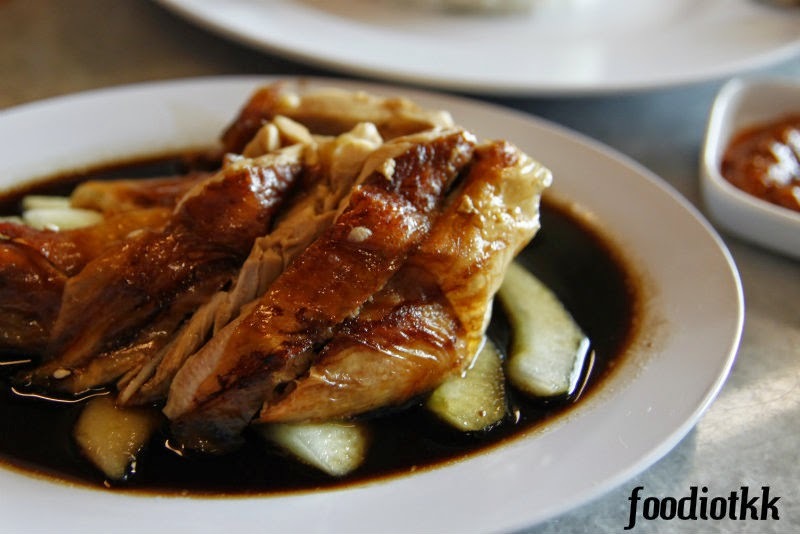 Hainan Chicken Chop- normally written as Hailam Chicken Chop, similar to Mee Hailam, these are the taste of heritage-old food which were started by the Hainan ethnics. 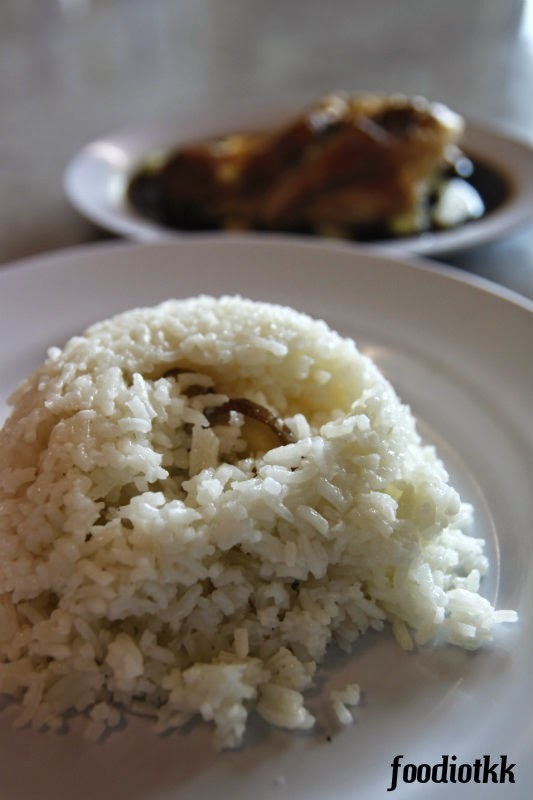 Tracing back to the era before Independence, most Hainan people who migrated from China work as cook in restaurants or in some rich people's house. Today, Hailam Chicken Chop is already hardly found, only limited to some decades old restaurants in KL such as the 86-years-old Kedai Makanan Yut Kee at Dang Wangi. Mee Hailam however, is still an ubiquitous dish in many Malay restaurants (but not in Chinese restaurant). 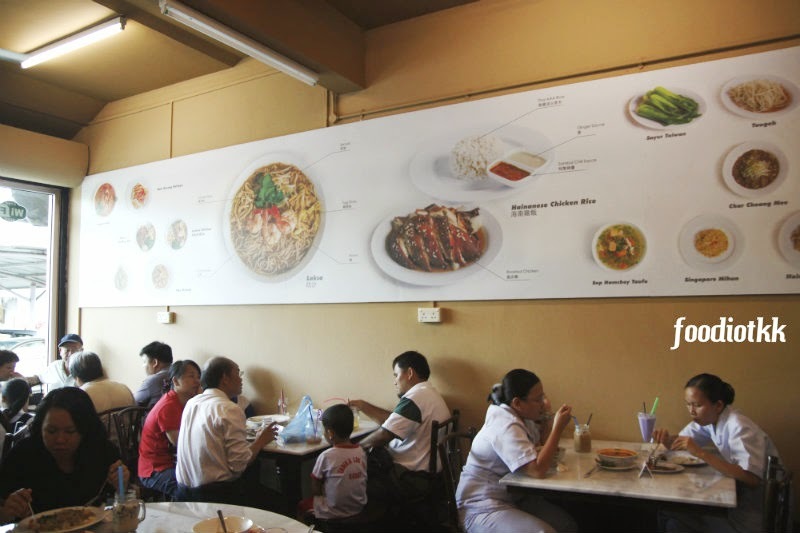 Hainan Kitchen offers all kind of food mentioned above. 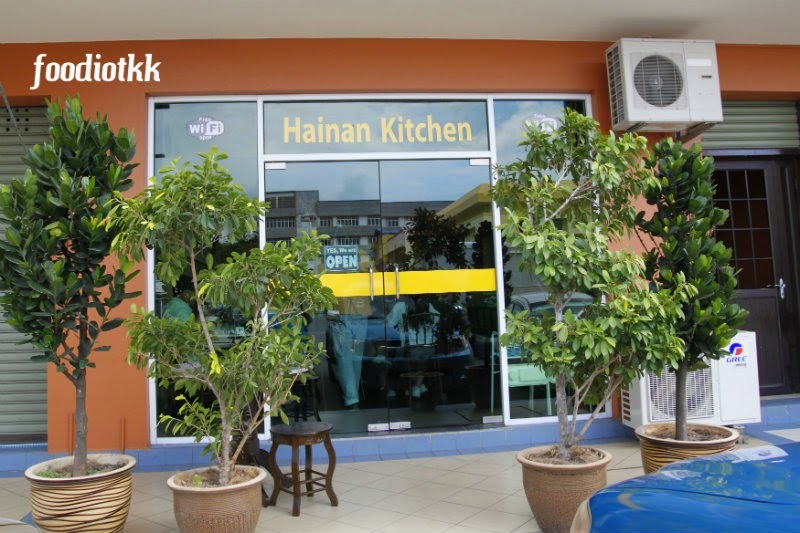 Hainan Kitchen is an newly opened restaurant at Hotel Ria, Kudat. 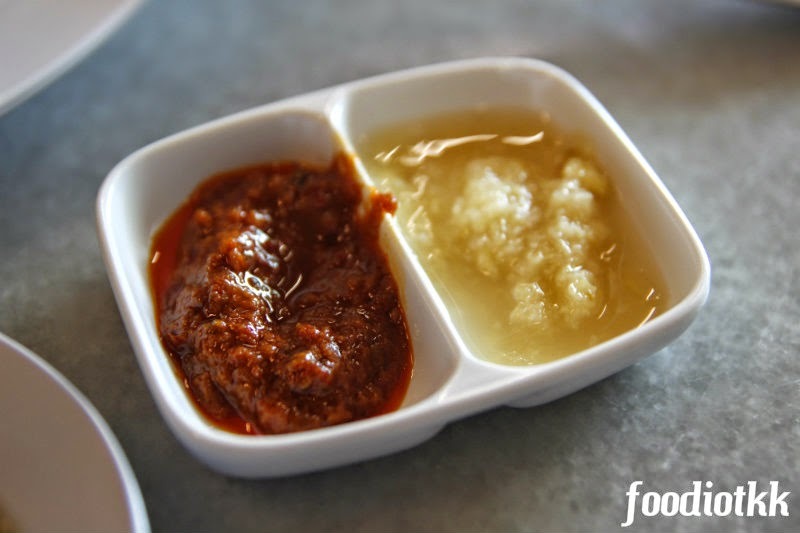 Do not confused with the hotel's own cafe which is called Selera Ria, the Hainan Kitchen is opened to the back of the hotel and facing the hotel's car parks. 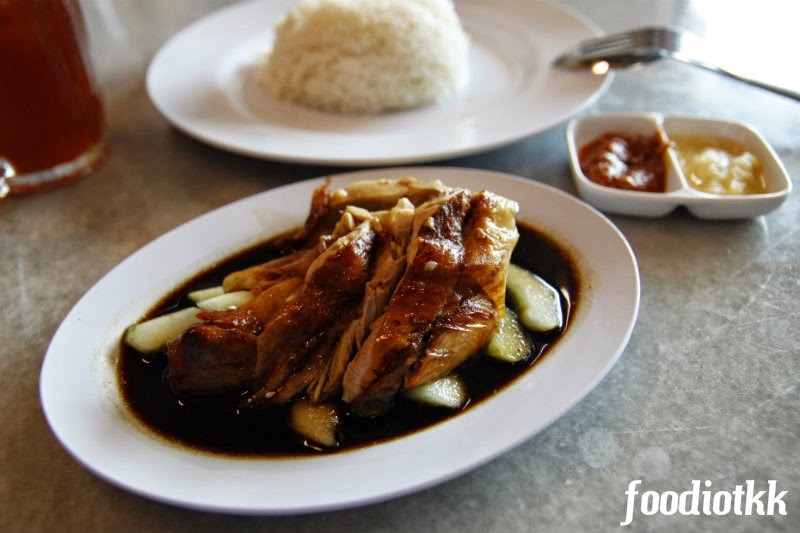 There are up to 9 different types of chicken rice here including the "original" Hainan "steam" Chicken Rice (it should be boiled in hot soup, not steam), roasted chicken rice, and other varieties such as Vietnam Chicken Rice, 3 Rasa, and Wet Butter Chicken Rice. 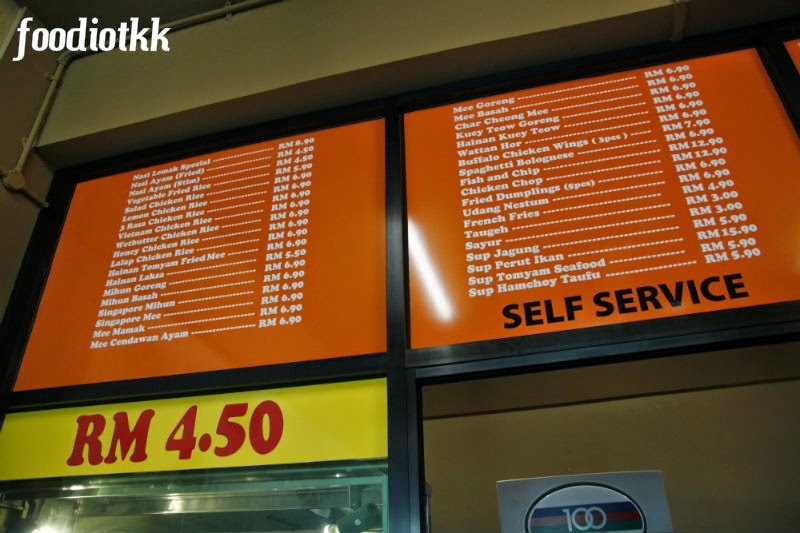 Laksa, Singapore Meehun and Hainan Kueyteow are also listed on the menu, alongside with the western food such as Buffalo Wings, spaghetti and chicken chop. Steamed chicken was sold out duirng my visit in one late afternoon, so I got this Roasted (fried) Chicken. Unfortunately the taste of the soy sauce covered the chicken taste, and the only flavour I could remembered was - very salty. 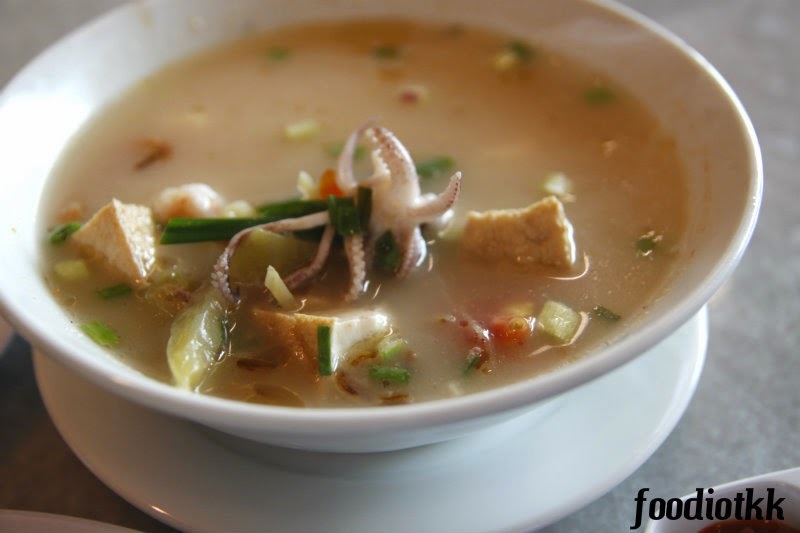 Very yummy and comfy hot soup cooked with Chinese preserved vegetable which is sour and salty. Generous amount of squids and prawn were given too!